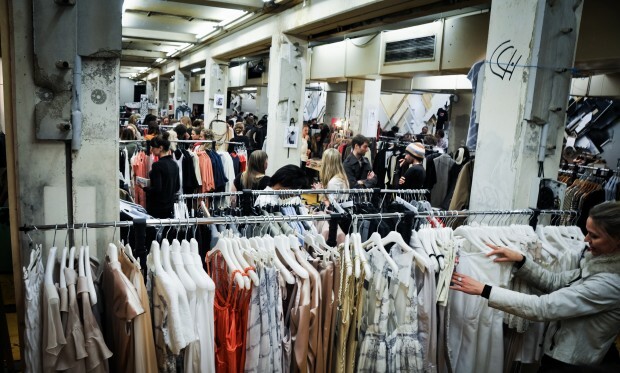 This Sunday Trouw’s 1000 m2 will turn into a shopping paradise. More than a hundred labels, stores and designers will showcase and sell their work at HTNK’s OneDayShop. At the fair you’ll be able to find an abundance of clothes, accessories –both men’s and women’s–, art and interior design. Go and you might be rewarded with limited edition pieces for sample sale prices. The event is organized by HTNK, an Amsterdam-based fashion agency that represents designers and spots new talents. This means you can be sure to find the best and latest in fashion and beyond. Some of my personal favourites will present themselves at the OneDayShop, including Essyello, a label selling handmade jewellery; Are You Swedish, an agency representing Swedish fashion; and No Robot, a webshop offering young and edgy clothes and accessories. So, if you’re still looking for that perfect holiday gift or just want to treat yourself, be sure to visit Trouw this Sunday. Don’t forget to bring enough cash, as this is the only way to pay for all the prettiness.